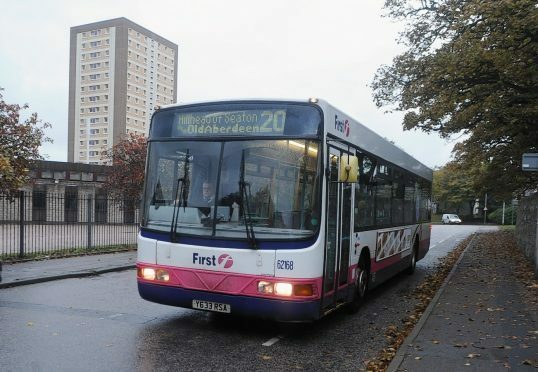 Workers at First Bus in Aberdeen have said a “totally unsafe working environment” has been created by new terms and conditions. The company is consulting workers on the implementation of a new contract. But a letter sent by the drivers joint committee to managing director Andrew Jarvis claims a “serious incident” is due because “minds” of drivers are elsewhere. It said: “We are jointly writing to you to ask if you are aware of the totally unsafe working environment that has been created throughout your entire driving workforce employed up in Aberdeen by the seemingly rapid implementation of new contracts of employment. “As a group we have to tell you that we feel pressurised, stressed, tired, angry and also very anxious for our all families’ futures. It went on to say that drivers would not attend any one-to-one meetings in the next few weeks due to the stress they feel under. But David Phillips, the operations director at First Aberdeen, called on bus drivers to continue to take part in the consultation process. He said: “Each individual driver was urged to share their thoughts, concerns and feelings about the situation during the ongoing individual consultation meetings and so that they can be considered by the management team and answered on an individual basis. “I would urge the drivers to continue to reach out to us through this process. “The new terms and conditions are not something that we have entered into lightly. He added that as Mr Jarvis is currently on holiday he would happily take any meeting to address concerns in the coming weeks.